You'll discover tucked-away gems like S Rim Trail and Grand Loop Road. Take a break from the city and head to Biscuit Basin and Midway Geyser Basin. Spend the 21st (Fri) exploring nature at Yellowstone National Park. And it doesn't end there: witness a stunning natural landmark at Grand Prismatic Spring, trek along Artist Point, stroll through Osprey Falls Trail, and explore the stunning scenery at Grand Canyon of the Yellowstone. 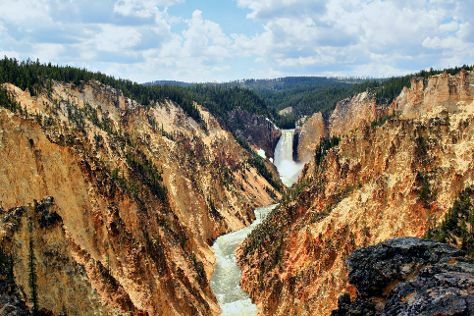 Start your trip to Yellowstone National Park by creating a personalized itinerary on Inspirock. Seattle to Yellowstone National Park is an approximately 5.5-hour combination of flight and car. You can also do a combination of flight, shuttle, and bus; or drive. You'll lose 1 hour traveling from Seattle to Yellowstone National Park due to the time zone difference. While traveling from Seattle, expect a bit cooler days and cooler nights in Yellowstone National Park, ranging from highs of 66°F to lows of 34°F. Wrap up your sightseeing by early afternoon on the 24th (Mon) to allow time for travel to Deadwood. Deadwood is a city in South Dakota, United States, and the county seat of Lawrence County. Kick off your visit on the 25th (Tue): admire the sheer force of Spearfish Falls, then head outdoors with Devil Bathtub South Dakota, and then immerse yourself in nature at Bear Butte State Park. Here are some ideas for day two: take a memorable drive along Spearfish Canyon Scenic Byway, immerse yourself in nature at Roughlock Falls Nature Area, and then admire all the interesting features of Broken Boot Gold Mine. To see traveler tips, more things to do, reviews, and other tourist information, read Deadwood trip planner . You can do a combination of car and flight from Yellowstone National Park to Deadwood in 7 hours. Other options are to drive; or do a combination of car and flight. The time zone changes from Mountain Standard Time to Central Standard Time, which is usually a 1 hour difference. Prepare for a bit warmer weather when traveling from Yellowstone National Park in June: high temperatures in Deadwood hover around 75°F and lows are around 52°F. Cap off your sightseeing on the 27th (Thu) early enough to go by car to Badlands National Park. Eschew the tourist crowds and head to Notch Trail and Yellow Mounds Overlook. Take a break from the city and head to Badlands National Park and White River Valley Overlook. The adventure continues: take in the dramatic natural features at Badlands Wall, explore the wealth of natural beauty at Bigfoot Pass Overlook, tour the pleasant surroundings at Castle Trail, and take a memorable drive along Loop Road. To find traveler tips, where to stay, maps, and tourist information, go to the Badlands National Park trip planner . You can drive from Deadwood to Badlands National Park in 2 hours. Other options are to do a combination of taxi and bus; or take a bus. You'll gain 1 hour traveling from Deadwood to Badlands National Park due to the time zone difference. When traveling from Deadwood in June, plan for a bit warmer days and about the same nights in Badlands National Park: temperatures range from 83°F by day to 54°F at night. Finish your sightseeing early on the 30th (Sun) to allow enough time to drive to Hill City. Hill City is the oldest existing city in Pennington County, South Dakota, United States. You'll discover tucked-away gems like Harney Peak and Black Hills. Take a break from the city and head to Mount Rushmore National Memorial and Presidential Trail. Explore Hill City's surroundings by going to Custer (Legion Lake, Custer State Park, & more). There's still lots to do: take in the dramatic natural features at Needles Eye Tunnel and contemplate the waterfront views at Sylvan Lake. To find more things to do, reviews, other places to visit, and more tourist information, refer to the Hill City online route planner . Drive from Badlands National Park to Hill City in 2 hours. Alternatively, you can do a combination of bus and taxi. In June, Hill City is slightly colder than Badlands National Park - with highs of 73°F and lows of 48°F. Cap off your sightseeing on the 3rd (Wed) early enough to travel to Grand Island. Grand Island is a city in and the county seat of Hall County, Nebraska, United States. 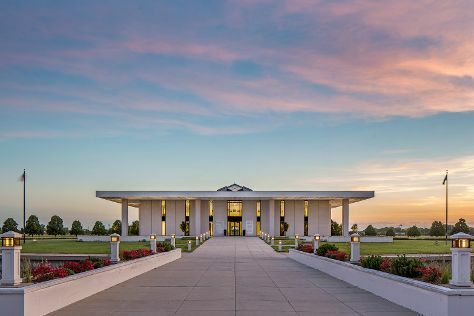 On the 4th (Thu), examine the collection at Raising Nebraska, get engrossed in the history at Stuhr Museum of the Prairie Pioneer, and then contemplate the waterfront views at Platte River. For where to stay, other places to visit, traveler tips, and tourist information, read Grand Island trip planner . The Route module can help you plan travel from Hill City to Grand Island. The time zone changes from Mountain Standard Time to Central Standard Time, which is usually a 1 hour difference. In July, Grand Island is somewhat warmer than Hill City - with highs of 87°F and lows of 65°F. Finish your sightseeing early on the 4th (Thu) so you can travel back home.